Most of the large size files you download from Internet and other sources are compressed in a zip file. (.zip) file extension is popularly used for compressed files. Apart from compressing data and reduce the overall size, they can also be used to protect your files from unauthorized access by enabling password protection. It's very easy to create a zip file in Windows as there are many software tools available, especially WinRAR and 7-Zip which we all have used at least once. 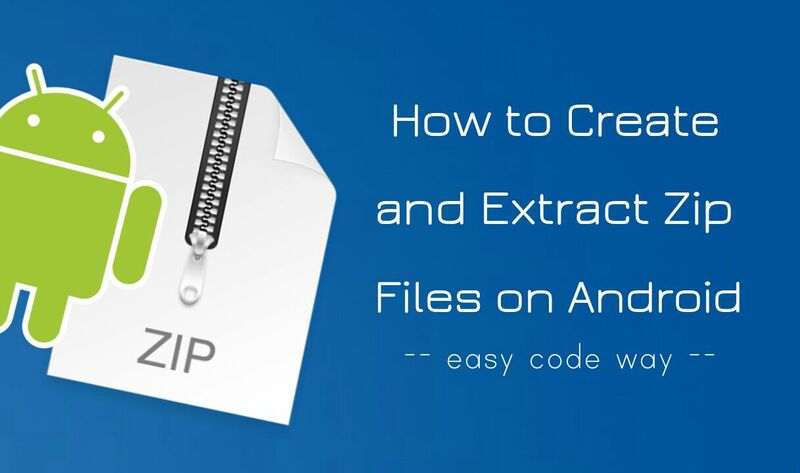 But do you ever wondered how to create or extract a zip compressed file in your Android phone? Let's show you how to do this. Launch the ES File Explorer app and open the folder where all files are saved. Now select the file(s) you want to compress and then click "More" option from the bottom menu. After this, click "Compress" option from the list. Now a pop up box will appear. Here rename the file, choose compress level and type password. Finally tap "OK" button to continue. Once your zip file is ready, it will be saved in the same folder or directory where the original files are saved. 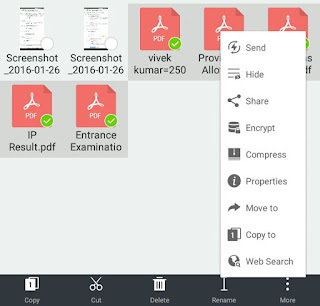 You can open it with any file manager app or other tools you use to manage zip files in your phone. Also compare the size to see how much space you have saved. Again open ES File Explorer and go to the folder where zip file is saved. Now select the file and click "More" option from the bottom menu. After this, click "Extract to" option from the list. 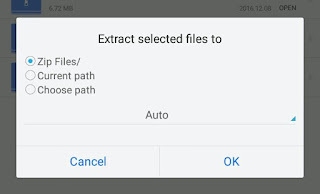 Now select the path where you want to extract files and click OK button. If the zip file is password protected, you have to enter the password to continue. That's it. 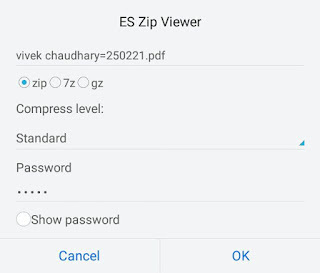 If ES File Explorer app is not the one you like, you can use other alternative apps for Android like WinRar and ZArchiver which provide more additional features. Please do share you views in the comment box.